On October 22, PBS KIDS will premiere the all-new, one-hour movie, WILD KRATTS: CREEPY CREATURES on PBS stations and the PBS KIDS 24/7 channel and live stream. It will also be available for free on pbskids.org and the PBS KIDS Video App. In this special movie event, the Kratt Brothers decide to celebrate Halloween by searching for "creepy cool" creatures, but will Zach and the other villains get in their way and ruin Halloween? 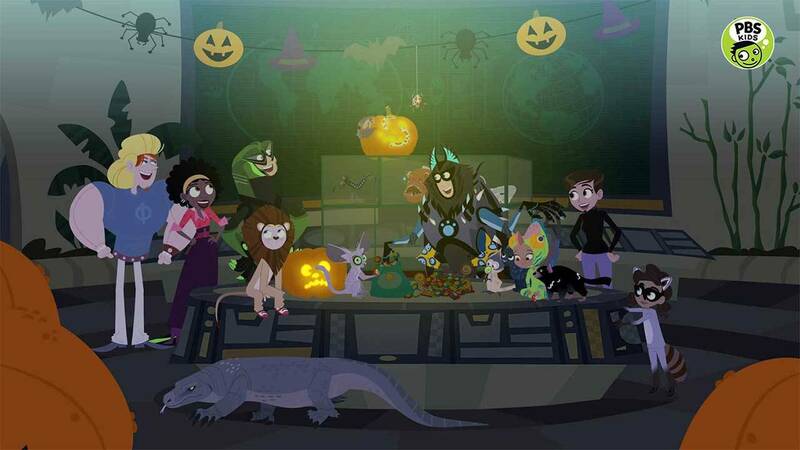 Additionally, PBS KIDS will premiere new Halloween-themed episodes from READY JET GO! and PINKALICIOUS & PETERRIFIC®. Families will be treated to special Halloween-filled Family Night programming and specials the last two weekends of the month on the PBS KIDS 24/7 channel and live stream.